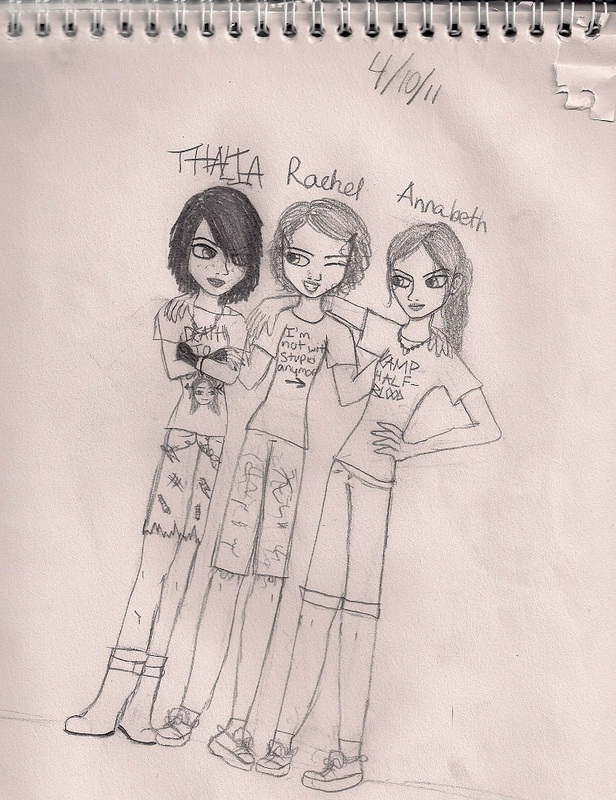 Thalia, Annabeth, and Rachel. I was bored at home..... so I started drawing............. TA DA!. HD Wallpaper and background images in the Percy Jackson & The Olympians Bücher club tagged: fanart drawing. heh heh thats really good! why is it all tilted? haha! rachel's shirt!!!!!!!!!! its like "i'm not with stupid anymore" and its all pointind at annabeth! I like this a lot,but is this a mistake(not yours)where does it ever say that Rachel's hair is short?